The choice of military and police worldwide! A must have for soldiers everywhere and an "insider secret" among the law enforcement communities, Fox LabsTM Stream Fog Pepper Spray is available to the public for personal protection and defense. With an eye and nostril burning 5.3 million Scoville heat units, this Pepper Spray is among the hottest on the market. And with a 19 ft. range, you'll easily be able to get the jump on anyone up to no good. 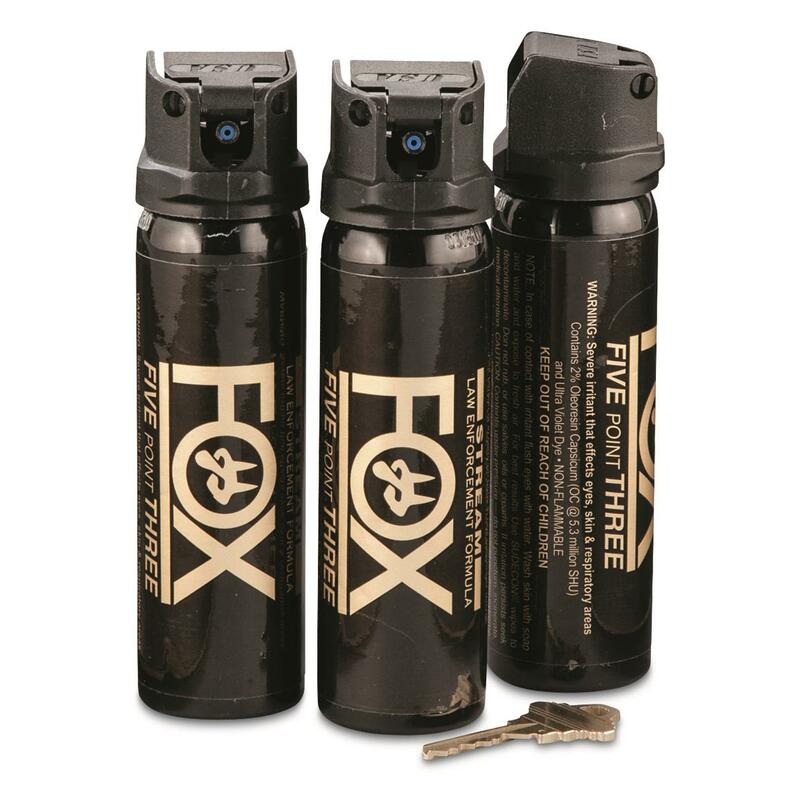 Bottom line: this Pepper Spray is an exceptional deterrent, perfect self-defense "stopping power" that can bring anyone foolish enough to give you funny business straight to their knees!